Filament wrapped around the feeder gear? Has anyone had this problem? I have had the snapmaker for a long time. I have one of the Limited ones. #104/200 . Just this week I had to take the print module completely apart. The Filament was wrapped around the driver gear? I fixed it got it all back together but then it did it again 2 hours into the next print. Wondering if I am overlooking something. I have 5 3D Printers. The SNAPMAKER is the one that has zero problems. I attached 2 photos… 1 shows the Filament problem. the other shows a plastic spacer that came out snapped. I glued it together and re-installed it. I am going to print a replacement for it. I am wondering if anyone has had this filament issue. This happens when the filament is not loaded correctly or the teflon tube is cogged up. Even with a lot of experience (I also got a limited one) this happens 1 out of 100 times but I always got it out without taking everything apart. I’ve had the filament jammed inside the 3d print module once. It happened 2 or 3 hours into the print, similar to your case. I was able to pinpoint this to printing inside the enclosure with the doors closed. 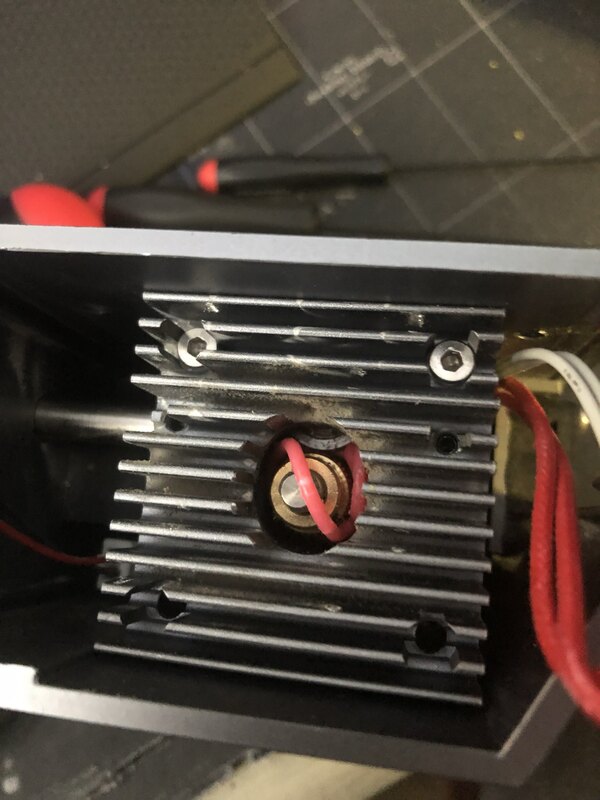 It got too hot inside the enclosure and the filament inside the module started getting soft prior to being pushed into the extruder. So now I print with one door ajar to let cool air to circulate in while I figure out a venting solution. Thank you for the reply… I dont have the enclosure however you did get me thinking and I checked. Both of the cooling fans have stoped spinning. They need to be replaced so I did order new ones. 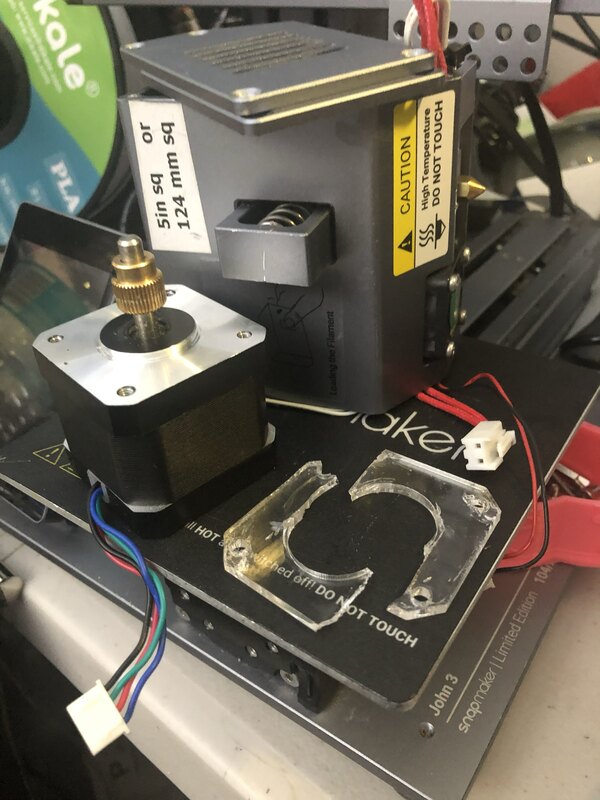 In the mean time I took a fan from the Laser module and replaced 1. and the 2nd fan I replaced by opening the side and blowing a desk fan into the print module. So far it has not had a problem… THANK YOU! Glad you’re back to 3d printing again. BTW, where did you order your fans?